Elevating Anthologies to Reach Today’s High-standards is a program that works in conjunction with I.C.E. Writers, F.I.R.E. Writers and W.A.T.E.R. 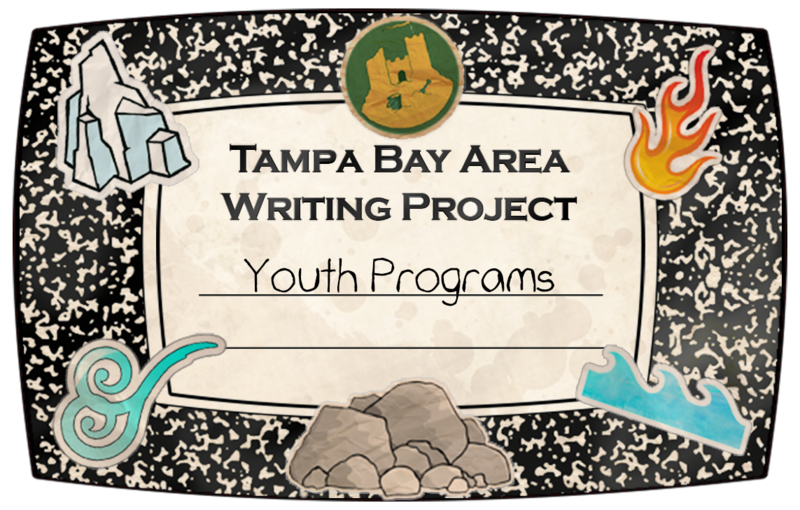 All the works created by the young authors attending those programs is anthologized into the TBAWP Youth Program’s Annual Publication. Before E.A.R.T.H, all we had was the hard work of a few facilitators and maybe a teenaged volunteer producing what worked for years: a spiral combing-bound stack of copy paper. Now, under the guidance of esteemed TBAWP TC Courtney Nickel, the yearbook advisor at Steinbrenner High School, E.A.R.T.H, is a program that nurtures young journalists and graphic designers alike. Meeting Wednesdays in June and July in USF’s iTeach Lounge, this is a group of passionate young people drawn from publication programs around the Tampa Bay Area. Students in publication courses looking to “up their game” whether to improve their editor resumes or gain valuable experience before submitting to competitions such as FSPA, NSPA, Scholastic Art and Writing, Columbia Press, etc. This program will feature numerous guest speakers and a chance to branch out from the usual and expert with various forms of journalism and publishing.